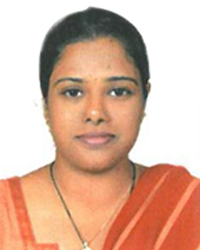 Dr. Ushasri Boda is a doctorate of Human Genetics (Molecular Cardiology) from Osmania University. She has postdoctoral experience from India in Neurology- Science of ageing. and had served as a Research Scientist in University of Illinois in Cancer Biology & Pharmacology- Stem cell Research. She had been the school and college topper and had earned the best poster/ oral presentations in national and international conferences. Her team was the first ever in India to find more than 5 Novel gene mutations and more than 7 SNP's in Indian Dilated Cardiomyopathy patients, which have been assigned accession numbers in global Mutations database (http://link.springer.com/article/10.1007%2Fs12041-009-0057-3). She has 10 paper publications to her credit from international journals as well. Traveling to Pennsylvania for a Medical Conference? Planning a trip to Minnesota for your Next Medical Conference? Traveling to Florida for a Medical Conference? Planning a Trip to Virginia for a CME Conference? Traveling to Washington for a CME Conference? Travel to Maryland for Your Next CME Conference? Traveling to Wisconsin for a CME Conference? Planning a Trip to Texas for a CME Conference? Traveling to Seoul for a CME Conference? Traveling to San Francisco for a CME Conference? Planning to attend a CME conference in Paris? Planning a trip to Dubai for a CME Medical Conference? Planning to Attend a Medical Conference in San Diego? Traveling to Ohio for a CME Conference? Can We Get More Women Speakers at Medical Conferences?